Go back in time to the old west at Sedona’s 8th Annual National Day of the Cowboy Saturday, July 28. This must-see event has live performances by gunslingers, ropers, bullwhip crackers and historical re-enactors. Listen and dance, or just tap your toes to live western music; thrill to deadeye gunfight reenactments, and for lil-uns with a mind for fun, a wild west bouncer that will have them jumping for joy. Watch traditional cowboy tradesmen demonstrations and see western art and artists at work. Author Joe McNeill will be signing copies of his Award nominated book “Arizona’s Little Hollywood: Sedona and Northern Arizona’s Forgotten Film History 1923-1973.” There will also be a special effects makeup table and for cowpokes with gumption who hanker for hands-on Wild West action a mechanical bull to ride! 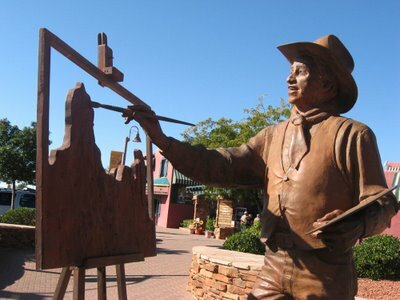 The Sedona Heritage Museum will present Michael Peach doing a special performance of his new original show “The Facts Keep Gettin’ in the Way of the Story”, a tribute to the Southwest’s cowboy spirit.” There will be two performances: 1:30 p.m. and 3:00 p.m. These special shows are free in celebration of National Day of the Cowboy. This is a family friendly show featuring a mix of Peach’s original cowboy poetry together with jokes and historically-based stories illustrating the humor, heroism and hubris of some of the Southwest’s most colorful characters, both factual and fictional. The special show is about an hour long and appropriate for all ages. At the Wayside Chapel, lower level, 401 N. 89A in Uptown Sedona. 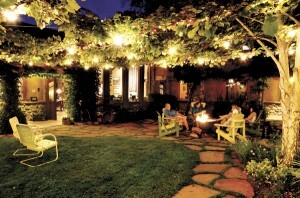 Whoop it up at Tlaquepaque and stay at El Portal Sedona Hotel just a short 2 minute walk from the fun. After the festivities wander on back to the “homestead” for some good ole fashion relaxin’ and a cold beer. We’ll have the camp fire going, and you have all evening to unwind and visit – share the day’s performances and events. Call El Portal, Sedona’s pet friendly hotel, at 1-800-313-0017 and reserve your room now. We have rooms with pet patios: 3, 4, 5, 6, 7 and room 1 with a small puppy gate. The luxury inn is a AAA Four Diamond hotel, and guests have access to 2 swimming pools, a full gym and Sedona Spa just next door. 1-800-477-7238 for your National Day of the Cowboy celebrations!